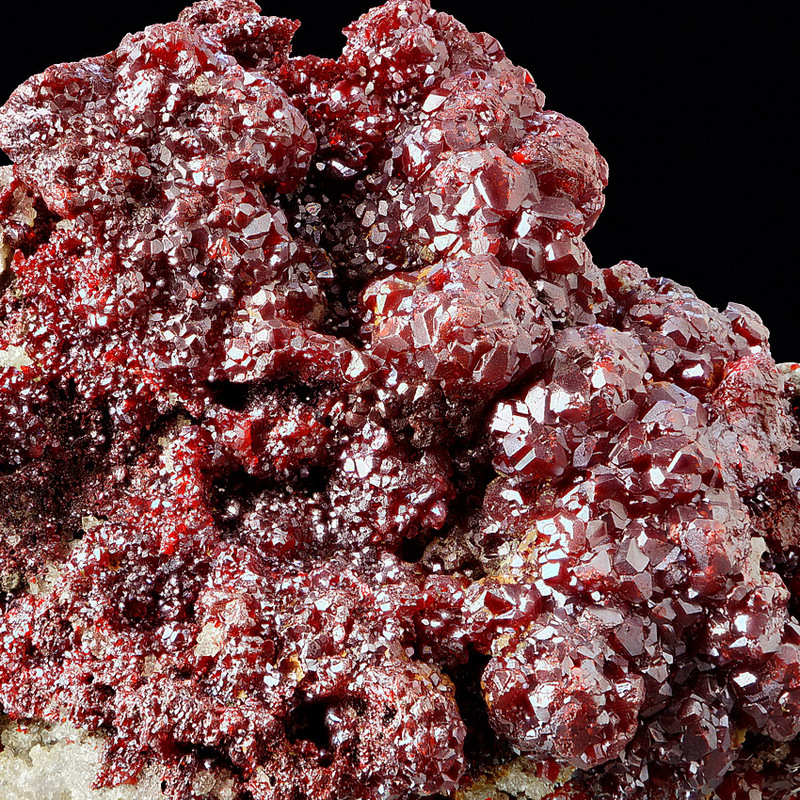 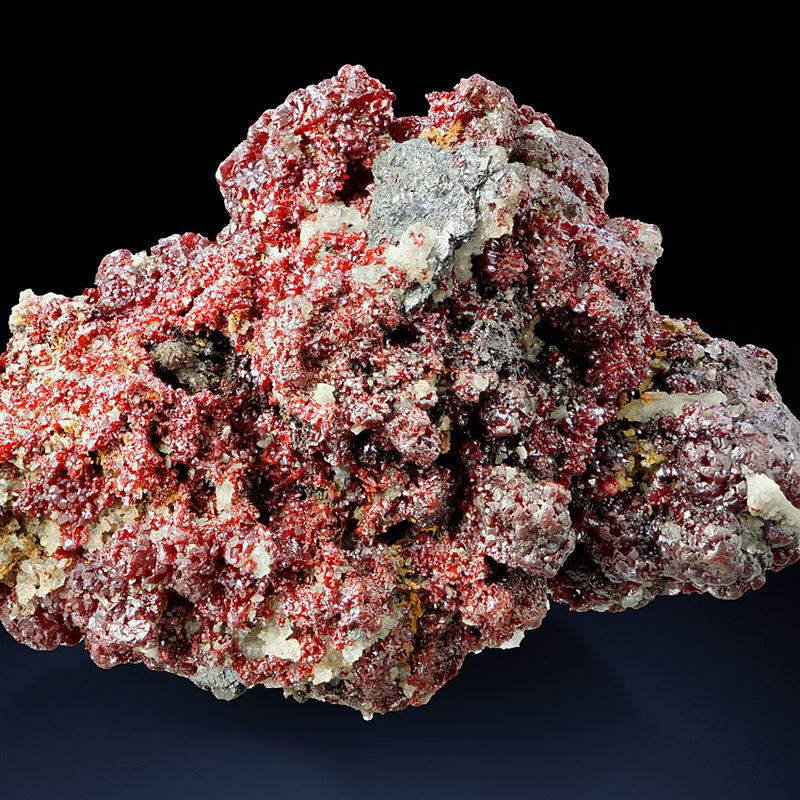 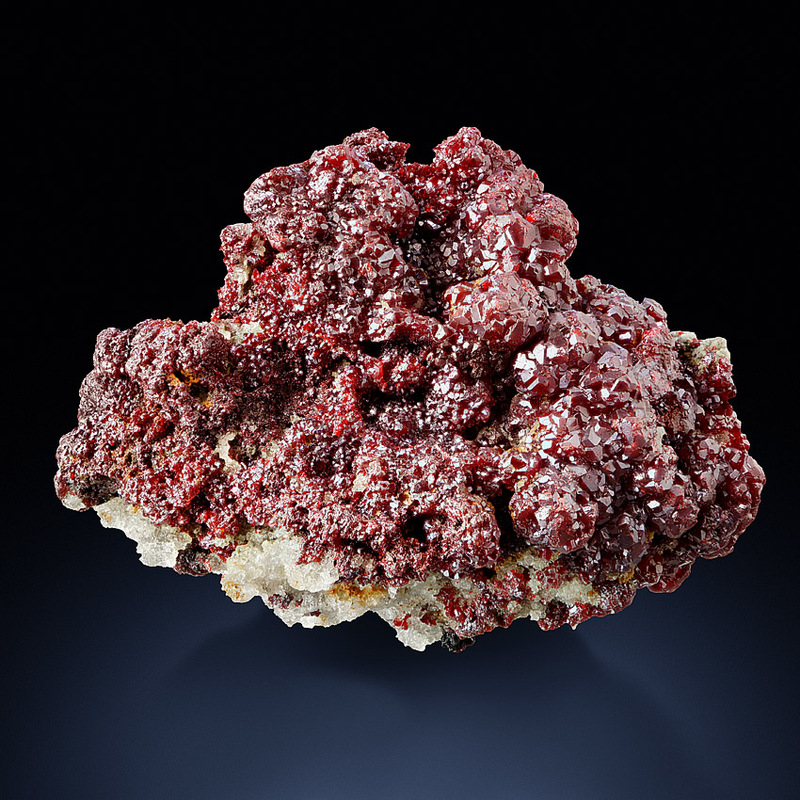 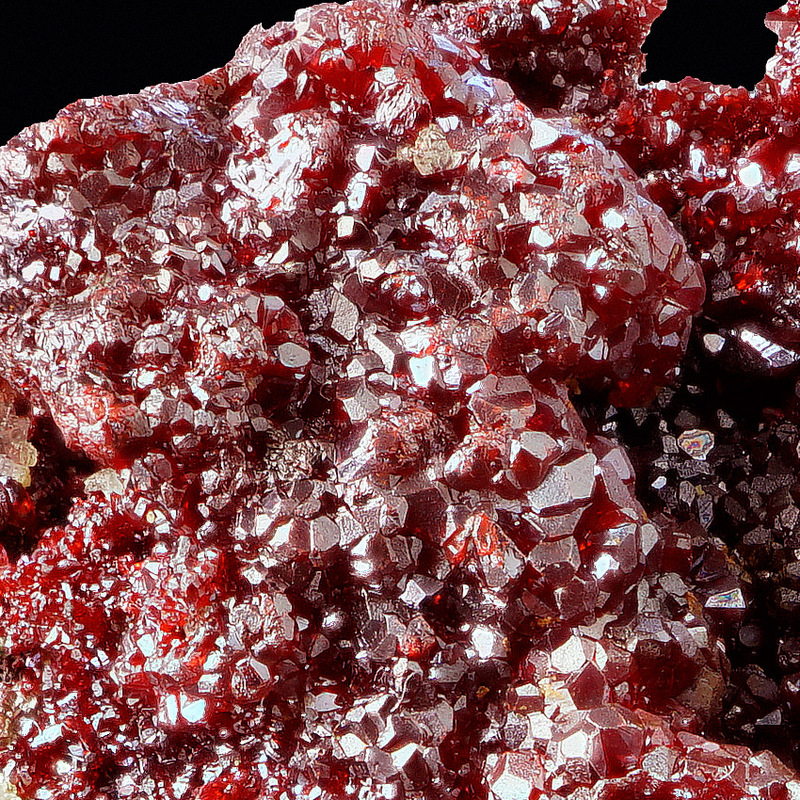 A nice proustite specimen from the famous Imiter Mine in the Souss-Massa-Draâ Region in Morocco: Numerous dark cherry-red proustite prisms up to 0.2 cm in size are forming a rich and 3-dimensional crystal cluster. 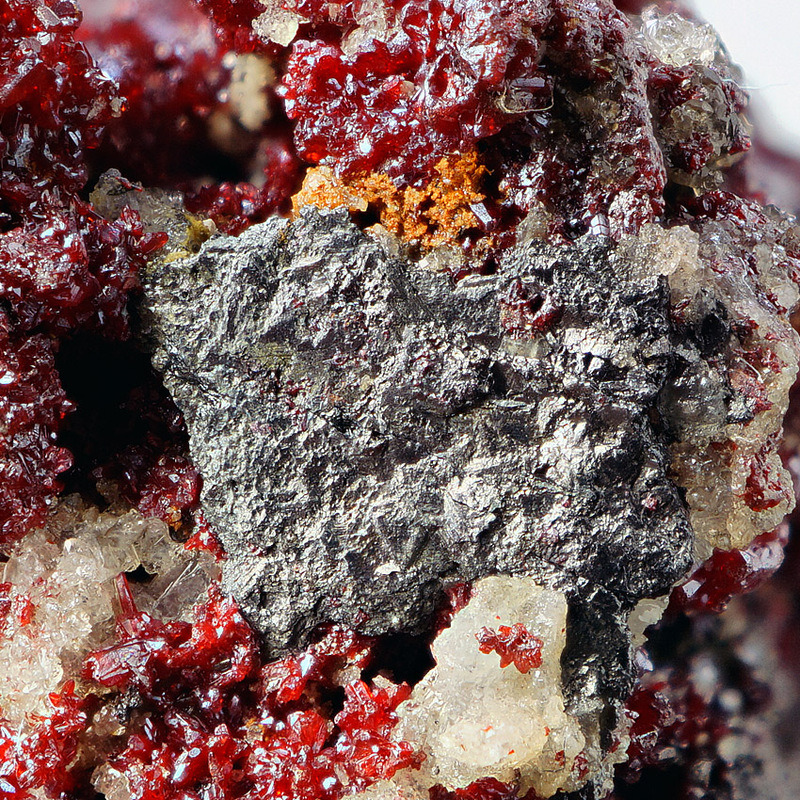 At that the proustite is accompanied by a few metallic grey, tabular crystals of polybasite. 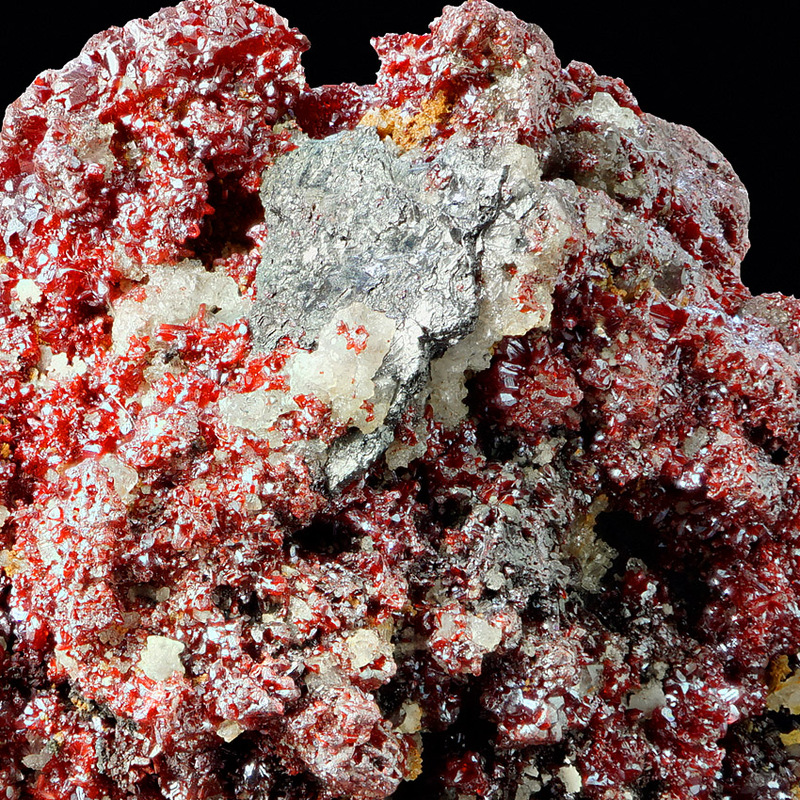 The largest one has a size of 1.0 cm (last pictures) which is extremely rare for the locality.